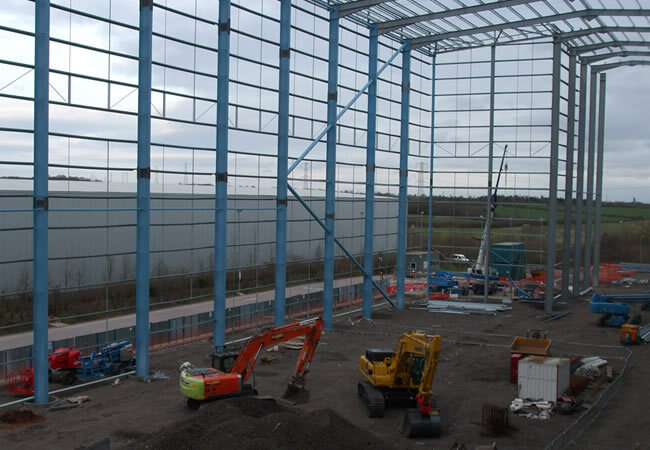 To provide civil and structural engineering services to extend an existing 30m high bay warehouse structure by 9000m2, including foundation and preliminary steelwork design and modifications to existing drainage and external works. The original warehouse was constructed in 2004 on a reclaimed former opencast coal mining site, consisting of a clayey engineered fill. The existing building’s footprint had been dynamically compacted and therefore, due to the proximity to the existing building, dynamic compaction was not a viable option; vibro stone columns were used to achieve the 150kN/m2 safe ground bearing pressure required. 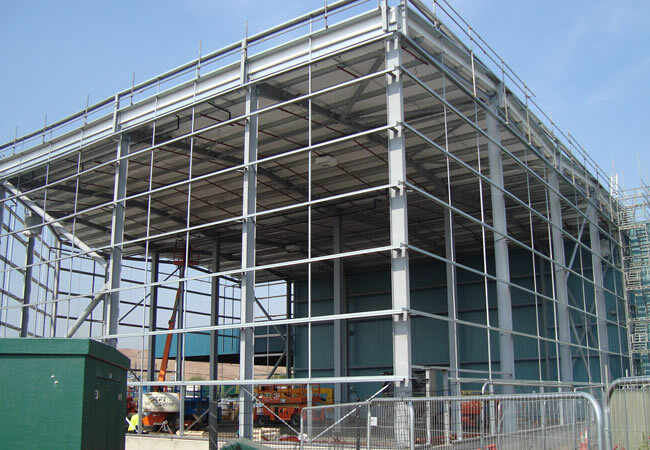 Vibro treatment was viable up to 1.5m to the face of the existing buildings. A concrete plug was developed and applied to the top of the vibro columns to avoid water ingress to the clayey fill that could potentially have led to softening and a reduction in strength of the soils beneath the building footprint. The external column bases were designed for a fire boundary condition and the large bases required were specified with concrete containing GGBS cement replacement, to control temperature during curing and to avoid cracks developing. Existing surface water drains were diverted around the proposed building’s footprint due to vibro treatment works. The roof drainage was designed as a syphonic system to reduce below ground drainage. 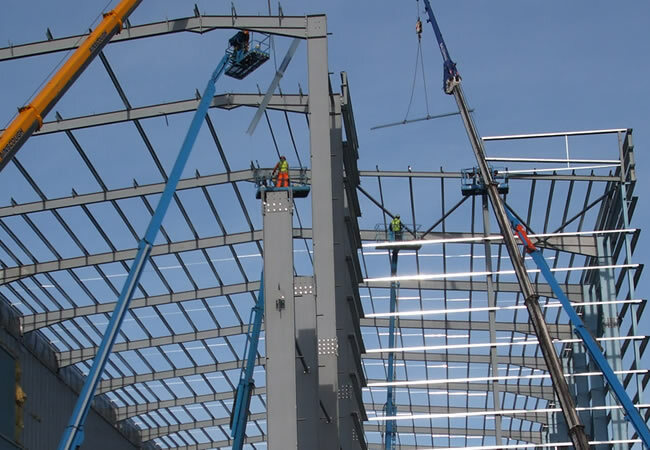 Steel portal frames were designed plastically and tied in to the existing fully braced steel frame. Additional vertical bracing was added to the external elevations. A steel fibre, reinforced, concrete ground bearing floor slab was provided on a DOT type 1 sub-base and geogrid was positioned over the vibro-treated ground. Racking leg loads in the high bay area were as high as 20 tonnes. Careful design bypassed the need to tie the steel columns to the floor slab and avoided the restraint that may have been caused as a result.